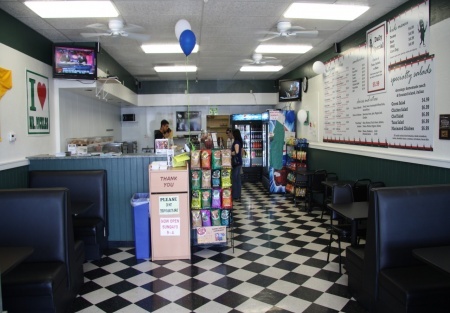 Selling Restaurants presents this very successful famous sandwich franchise located in South Placer county area. This store recently opened and is doing $1,700-$1,900 a day and has quickly become a local favorite in no time. This franchise prides itself not on price like so many of the mass franchise sandwich shops do; rather it prides itself on quality and service and it certainly shows when one enters the restaurant to see a spotless store with team members eager to serve you and to design for you the best sandwich you'll ever eat! And if you're looking for an easy operation to run with reasonable hours, then this is it! The hours are 8am to 4pm 7 days a week. The staff is well trained and it shows. Food costs are tightly managed. Labor cost watched like a hawk. This store is ready for someone to take over today. The royalty fees are very low and the price for this new store is equally low. Put $50,000 down and get an SBA loan and you'll be on your way to being your own boss. To get the name, location and more photos, please select the orange button below. This is a Paramount Restaurant Brokers, Inc. DBA SellingRestaurants.com listing. CUrrent Daily Sales Are $1,700-$1,800 - Buyer Needs To Verify. Great location with sound major anchors. Busy center attracting all sorts of hungry traffic. Must be a hard working owner - involved with Customers, Employees and Community. Don't Buy This If You Like To Do Things Your Own Way! This Business Model Works - Leave It Alone and Make Money. SBA Loan Available with 33% Down.